There’s no place like home. As long as that home isn’t trying to eat you. Incredible, the multiple nominees and awards this book has won are all well deserved. Planetside was a very impressive military sci-fi debut. Fantasy and sci-fi will always be my favorite genres to read. I’m not ashamed to say that I haven’t read a lot of novels outside SFF; mainly because I found the popular and the highly acclaimed non-SFF books to be mostly disappointing or just not satisfying enough. However, there will always be that rare occurrence where I pick up a random book outside of my favorite genre and realized that I have been transported by a magical portal. 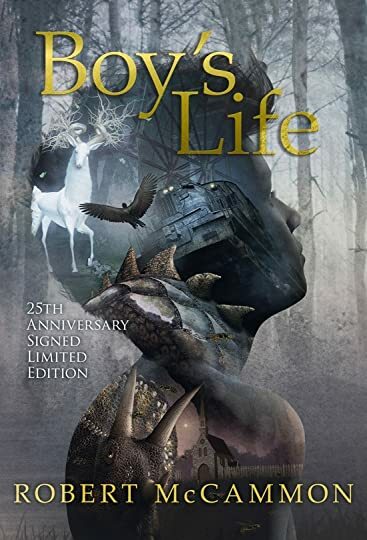 Boy’s Life was that kind of book; it grabbed my full attention since the prologue and it still dazzled me after I finished it. Imaginative and unique, think of City of Stairs by Robert Jackson Bennett with a little touch of Sanderson’s magic system and you’ll get Three Parts Dead.